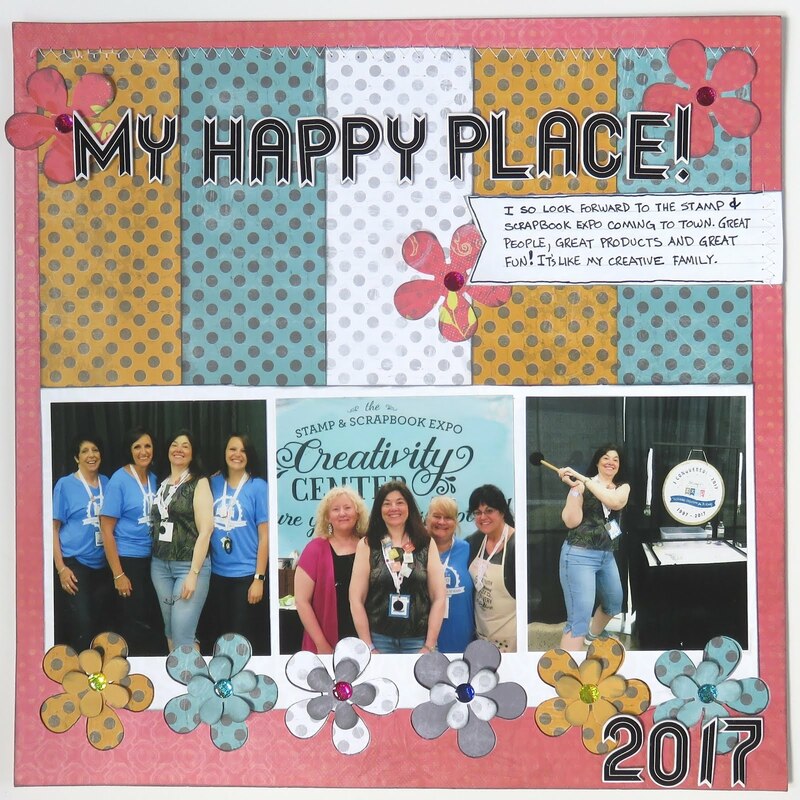 Blog Quick Quotes: My Happy Place with June! My Happy Place with June! Hello Quick Quotes fans! 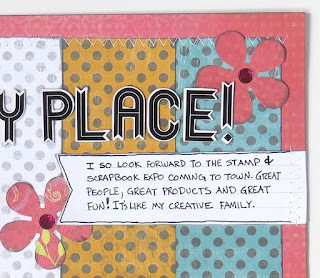 June here to share a layout with you mixing several different collections of Quick Quotes papers. One of the great things about Quick Quotes papers is that many of the paper lines mix and match beautifully. 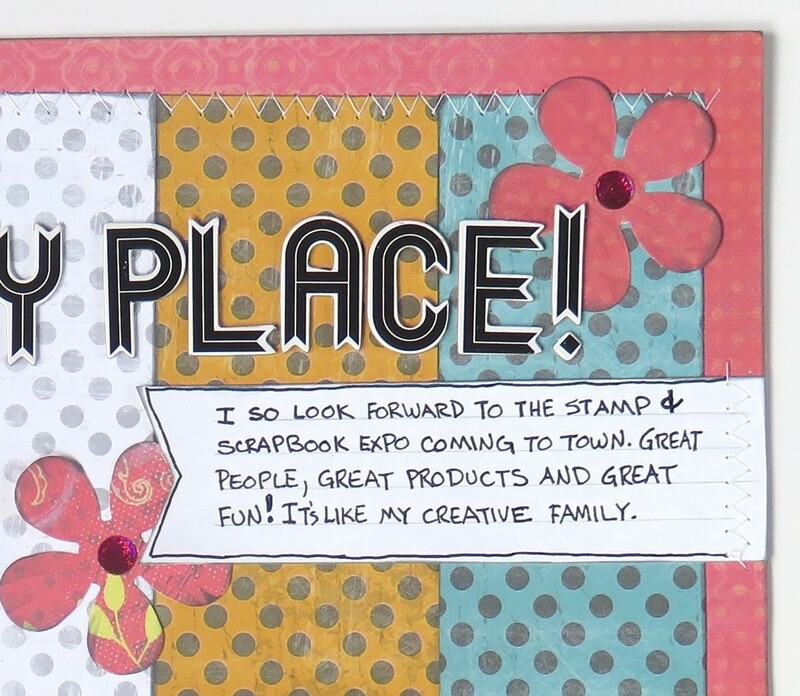 This page is about an event that I look forward to all year long - The Stamp And Scrapbook Expo! The staff is great, the products are great and it is such great fun! 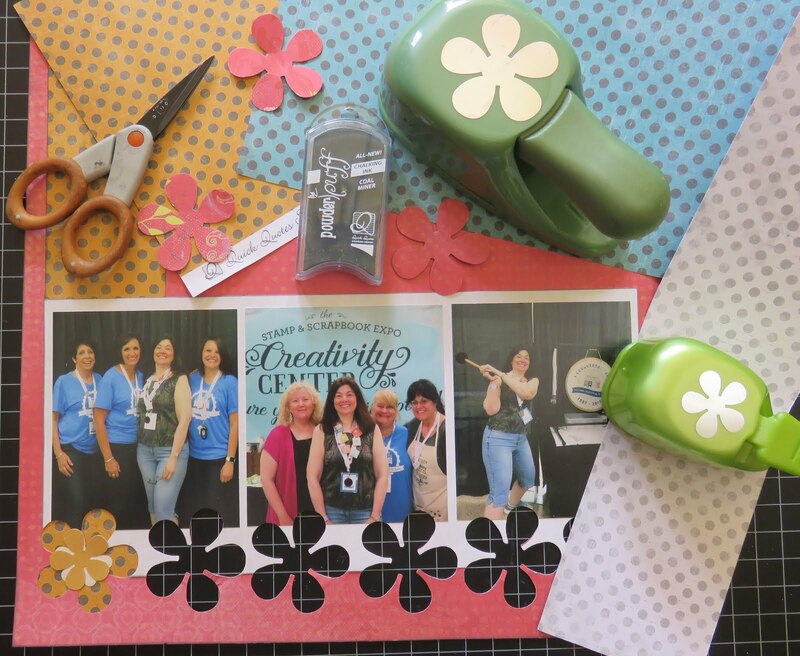 You can even get Quick Quotes products and take fabulous Quick Quotes classes there! 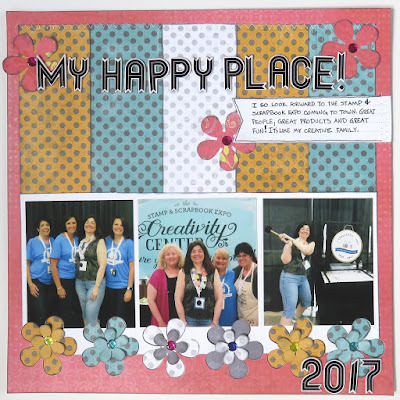 On this layout I mixed and matched Serenade (pink), Whistlin' Dixie (yellow & teal dots), 49 Shades Of Grey (grey dots) and Windsong (white) lines. Edging all of the papers with Coal Miner PowderPuff Chalking ink really tied it all together. 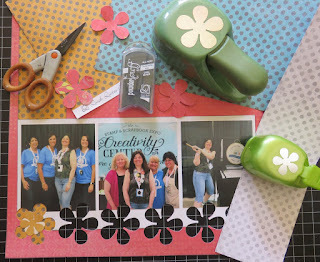 I was inspired by a layout by Melissa Ullmann which had a "cut file look" with the flower border. I simulated the look with punches. I love how it turned out. The flowers were made with both the A and B sides of each of the Quick Quotes papers. I also added a little machine stitching.